While two years have passed since Haiti’s traumatic 2010 earthquake, local residents still insist that crime is their top priority. Not surprisingly, violent crime prevention is also on the agenda of foreign donors and aid organisations. And yet the situation has deteriorated over the past 12 months. What is more, police and justice services are still largely out of reach for ordinary citizens, especially those living in “popular zones” of the capital city, Port-au-Prince. The seriousness of the law and order situation is not entirely lost on Haiti’s leadership. But the risk is that the government and its backers may attempt to restore security through heavy-handed enforcement measures alone. This might not only make a bad situation worse, but would almost certainly gloss over chronic needs of crime victims. And while Haiti’s national police and justice sectors undeniably require support, this cannot be provided at the expense of survivors and their families. Virtually everyone agrees that rates of violent crime have soared in recent months. This spike must be set against Haiti’s impressive gains in safety between 2007 and 2011. 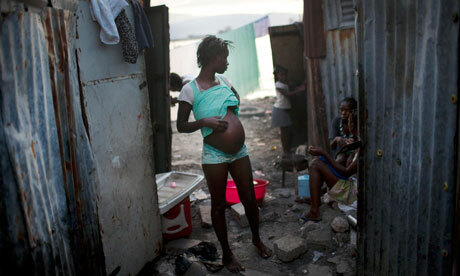 However, Port-au-Prince’s homicide rate spiralled to more than 60 homicides per 100,000 people by February 2012. Recent surveys conducted by the Igarape Institute reveal that despite some fluctuation, it has shifted upwards to roughly 72 per 100,000 by late July. By way of comparison, the global average homicide rate is closer to 7 per 100,000. The geographic and demographic characteristics of Haiti’s crime wave are unevenly felt. For example, residents of the capital city’s slums are more than 40 times more likely to be a victim of homicide than other urban dwellers. The incidence of sexual violence is also especially pronounced among young women and girls regardless of what strata of society they come from. Likewise, property crime and banditry are taking their toll, particularly among the poorer populations of the capital. The impacts of Haiti’s recent surge in crime endure long after the shooting stops. Children are especially vulnerable when a death occurs in the family; many are pulled out of school and sent to live with other families as restaveks, Creole for unpaid domestic servants. Since mid-2011, the average costs of a physical or sexual assault on a typical household member amounts to a fifth of their annual income. A murder results in expenses that are more than five times an average family’s annual income of $1,200 a year. The costs of violent crime accumulate quickly. For example, burial and funeral costs average almost $5,000 per household. Nearly all of the households we surveyed take out loans to pay these costs. The interest fees charged by money-lenders are extortionate, ranging from 50% to 150% a month. Compounding all this are bribes that are regularly paid out to the police: up to a quarter of all victims of physical assault and property crimes were asked to pay a bribe to see their cases progress. The average cost of these bribes is about $16. Despite these alarming trends, there are some practical steps that the Haitian government and international donor community can take to arrest the costs of violence crime. A priority is a clear affirmation by the country’s leaders of the gravity of the situation on the ground. This must be accompanied not with political posturing, but rather action to ensure that policing and justice provision gets to under-serviced areas. Unless this happens, criminal violence will continue rolling back meager development gains. The Haitian government and its supporters can also pay more attention to minimising the crippling debts generated by crime. For example, they can support low-interest loan alternatives for families who have lost their loved ones through violence. Likewise, new oversight measures can be introduced to reduce police bribery which, after a gradual decline, appears to be increasing once more. Finally, special measures can be taken to support victimised children, including with medical assistance, so that they are not traumatised for the rest of their lives.